today my little blog is 3 years old! To thank you all for following me on this journey, I’m giving away a UK paperback copy of A DARKER SHADE OF MAGIC by Victoria E. Schwab, which came out last week. The giveaway runs from today until Tuesday 10th March 2015 at 9pm (BST time). 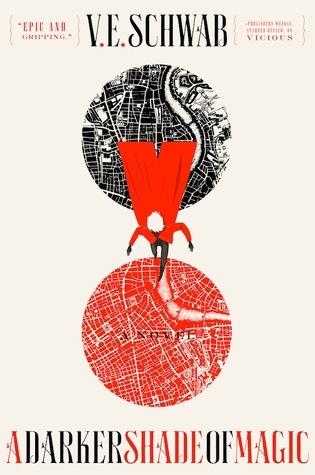 this week I’m waiting on A DARKER SHADE OF MAGIC by Victoria E. Schwab (expected publication: 24th February 2015 by Tor Books). It’s a Fantasy book which sounds utterly unique and quite amazing.